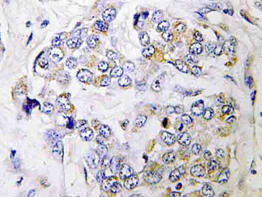 Immunohistochemistry (IHC) analyzes of PRIM1 antibody (Cat.-No. 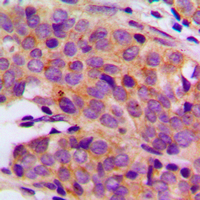 : AP21164PU-N) in paraffin-embedded human breast carcinoma tissue. 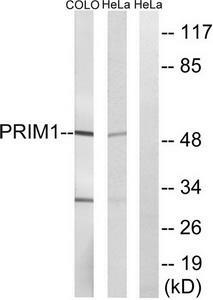 Western blot (WB) analysis of PRIM1 antibody (Cat.-No. 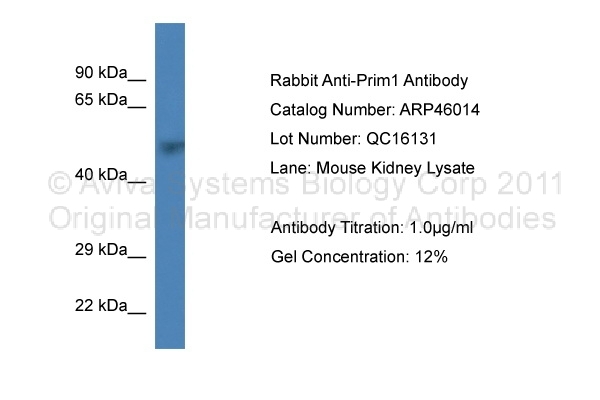 : AP21164PU-N) in extracts from Raw264.7 cells, treated with LPS. 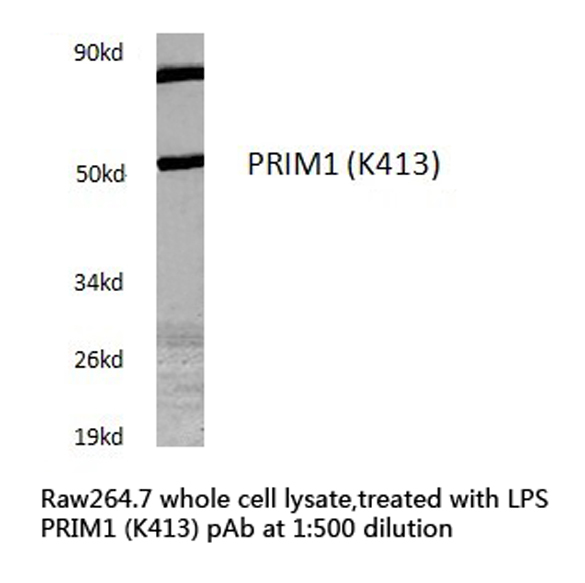 Western blot analysis of extracts from COLO/HeLa cells, using PRIM1 Antibody. The lane on the right is treated with the synthesized peptide. Immunohistochemical analysis of PRIM1 staining in human breast cancer formalin fixed paraffin embedded tissue section. The section was pre-treated using heat mediated antigen retrieval with sodium citrate buffer (pH 6.0). The section was then incubated with the antibody at room temperature and detected using an HRP conjugated compact polymer system. DAB was used as the chromogen. The section was then counterstained with haematoxylin and mounted with DPX. 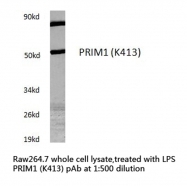 Western blot analysis of PRIM1 expression in HeLa (A); Raw264.7 (B) whole cell lysates. 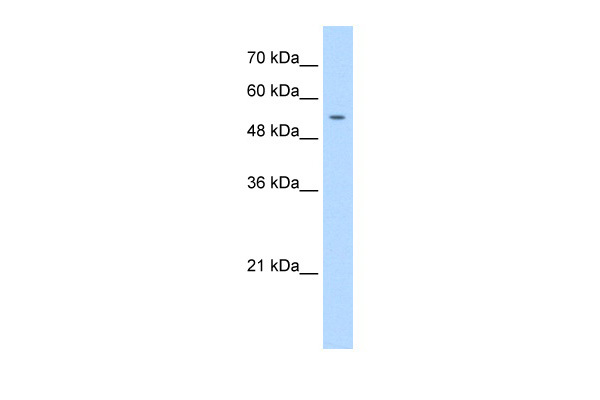 Western blot analysis of extracts from HepG2 cells, using PRIM1 antibody.The lane on the right is treated with the synthesized peptide.